QuestionWhy is it called a black box if it's actually orange? This week, a reader asked us why the black box (the device designed to record the sounds from a cockpit and withstand a plane crash) is called black when it's actually orange. It is a mysterious-sounding piece of equipment, and a few casual conversations with pilots only drummed up the lore. One guessed that early black boxes were used on mail runs and military flights to store secret communications. Another said that it's black because it sits there quietly. A few representatives from manufacturers of black boxes shot down our questions because it is not their practice to engage questions about the product after a recent tragedy. Finally, a few more forthcoming experts gave us some definitive answers. Black boxes were developed in Australia in the early 1950s. It was, simply, just painted black. The original version was a recorder designed with physical magnetic tape, with microphones placed randomly around cockpit. It was encased in a fireproof box, and paint itself is used in every industry to protect bare metal and stop rust. That's just the color they painted it when it was developed. I've been in aviation for a while (I used to be a helicopter technician), and a lot of it comes down to engineering or money. Engineers, as you know, are kind of binary, and they don't necessarily develop things with emotions. Everything is there for a reason. If there's some sort of thermal protection feature or more cost effective way of doing it, then that's what they'll use. And developing recorders that could have endured the rigors of flight would have required. 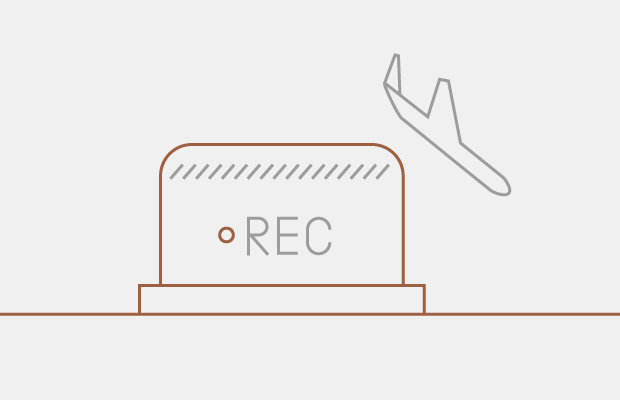 Modern aircraft have two recorders– one that monitors comms, the other flight instruments. The black boxes are now orange. If the plane does crash, it's easier to find in the wreckage. Black Boxes are actually known with the aerospace industry as Flight Data and Cockpit Voice Recorders. The Cockpit Voice Recorder records foud channels of audio for a duration of two hours, while the Flight Data Recorder records 25 hours of data… and may record several thousand parameters. As to why the media calls recorders Black Boxes, the name may have its origin in early engineering design philosophies, where boxes that contained electronic components were termed “black boxes” or possibly by their original color which was black. All voice and data recorders are painted a bright orange which helps search and recovery teams identify the recorders when searching an accident scene.